Join us for a celebration of art, community solidarity, and mobilization on April 8th! 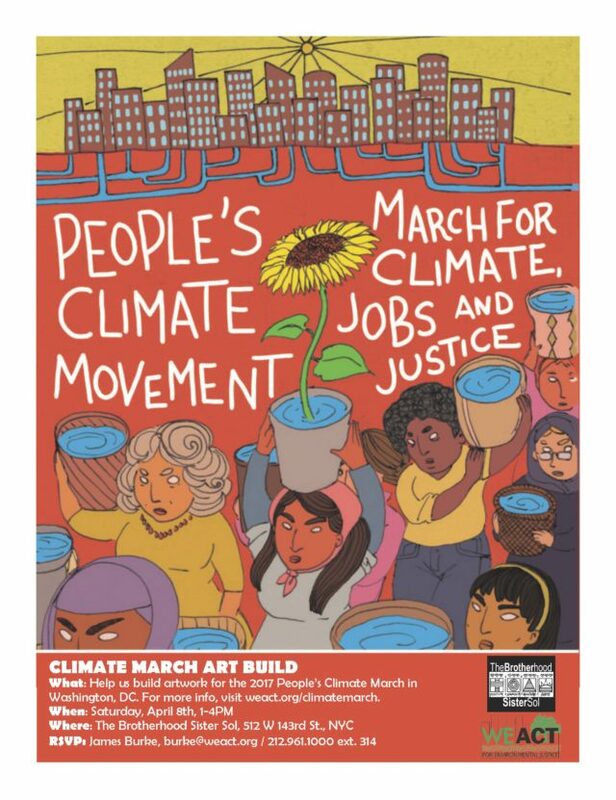 We will get together to build artwork for the 2017 People’s Climate March (PCM) in Washington, DC on April 29th. If you have not already, reserve a seat on our buses, and let the national PCM team know you are attending on Facebook! Grab a paint brush and some old clothes, and join us! Please RSVP for the climate art build with James Burke.